The parade of Knesset members and government officials who have decided to leave politics continued on Wednesday. After last week's announcement by Defense Minister Ehud Barak that he would not run for office, and Tuesday's dramatic reshuffling of the Yisrael Beyteinu list that saw several of the party's top MKs – along with one of its ministers – dropping out, long-time MKs Ya'akov Edri and Dalia Itzilk announced that they, too, were no longer interested in being Knesset members. 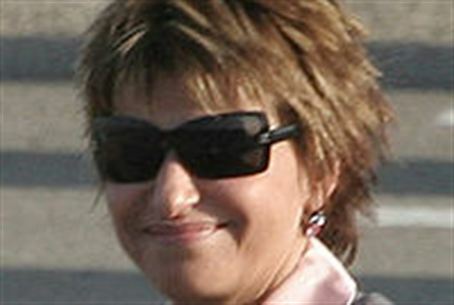 Itzik, who in the past served as Knesset Speaker and Deputy Prime Minister, as well as running numerous ministries, said Wednesday that her 20 year career in politics was over, at least for now. Speaking to reporters, the Kadima MK said that she held out little hope that her leftist views would be appreciated in the next Knesset. “The left and center are falling apart, and our ability to make an impact is waning. Therefore I am taking a break,” she told reporters Wednesday. She promised, however, to be back if things turned her way ideologically among voters. Also quitting is MK Ya'akov Edri, another Kadima member. Edri informed party head Shaul Mofaz that his decision was personal, and not due to the poor showing he is making in polls. “I have decided to resign the Knesset after having served in numerous positions,” including several ministerial posts, Edri said in a statement. Also quitting is Kadima MK Roni Bar-on, former Finance Minister and Chairman of the Knesset Foreign Affairs and Defense Committee, and considered one of Kadima's senior members. A report on Channel Two Tuesday night said that Bar-on had been set to be number two on the Kadima list, which is to be filed with government officials Thursday. Kadima has quickly disintegrated in the past few days. Many of Kadima’s MKs have already announced they would not be running in the next election or have moved to other parties. On Monday, the Knesset approved a request by seven of Kadima’s MKs to split from the party and run with their former chairwoman, Tzipi Livni, in her new party. Kadima on Wednesday night announced its final list for the upcoming elections. Along with Mofaz, Kadima candidates will include MKs Yochanan Plesner, Ze'ev Bielski, Ronit Tirosh, Shai Hermesh, Yuvel Zelner, Doron Avital, and Marina Solodkin.